The socialized mind and the religious spirit get along well together. The former is concerned with reputation, social norms, not rocking the boat. The latter is preoccupied with image, tradition, presentation. Both are easily taken aback and offended by acts of genuine spiritual experience and expression. They resist the self-authoring and self-transforming mind because those modes tend to feel threatening to them. 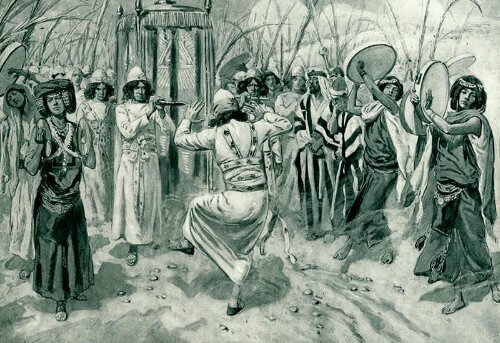 David didn’t dance for Michal, the slave girls, or anyone else. He danced for the Lord. He was not consumed by what others thought of him or bound by their expectations. He danced because he wanted to. He danced because it was in his heart. A person entangled in people pleasing, appearance, self-righteousness and self-importance will not become undignified. But they might stand at a distance and scorn those who do. People who cannot become undignified are prisoners to their own fear, pride, and insecurity. They are not free to enjoy the abundant life God offers. David danced and was happy. Michal judged and was not. So many are living as Michal rather than as David. God wants his children to be unhindered.